Motorcycles were an inseparable part of life for a young John Ramsay. 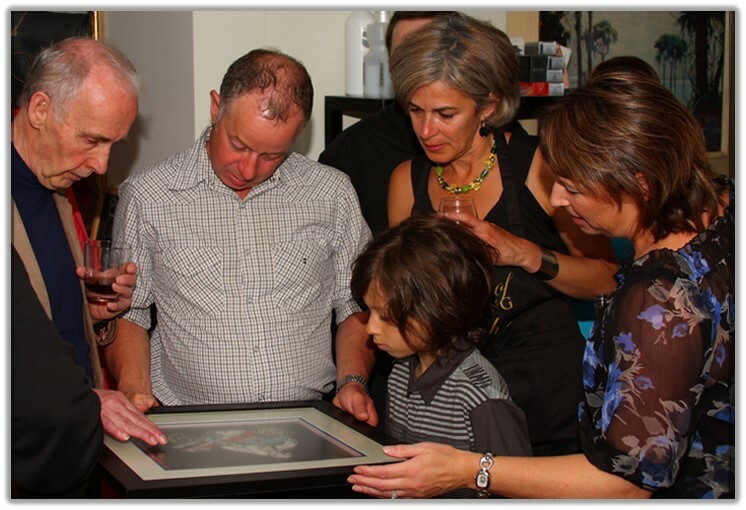 In 1963 his father Wilfred “Woody” Ramsay became the first Honda dealer in Cape Breton when John, his fourth child, was only four years old. The motorcycle business was an offshoot of the family Esso station but nearly 50 years later the tie between the Honda brand and the Ramsay family remains as strong as ever. 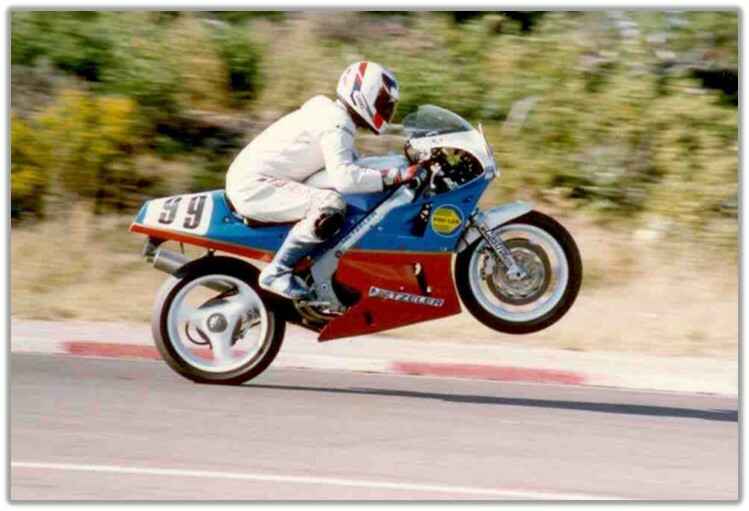 In between came a few brief, bright years when John Ramsay vaulted to five Canadian Motorcycle Association national road race championships. It all began, as motorcycle careers often did, with a Z-50 minibike. 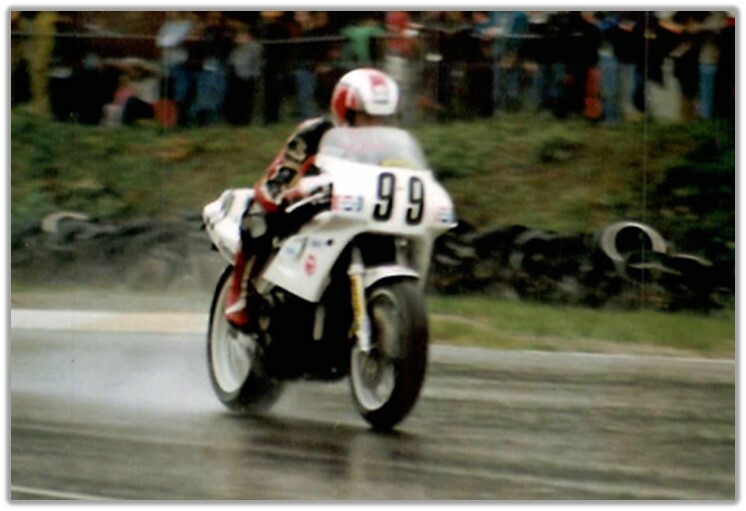 The Ramsay family lived on a farm on the shore of the Bras d’Or Lakes in the Cape Breton region of Nova Scotia and it was natural for young John to blast around the fields as fast as 50 cc could propel him. His mother Monica had died at age 36, leaving Woody with the responsibility of raising eight young children. John’s experience on dirt naturally led to an interest in motocross and at age 18, he won the Maritime 250 cc motocross championship. Extending his activities further into the daredevil realm, John jumped his bike over nine stock cars for the crowd at the local speedway. Small wonder, then, that John shares his Oct. 17 birthday not only with his father but also with his childhood hero Evel Knievel, famous worldwide for his jumping stunts. 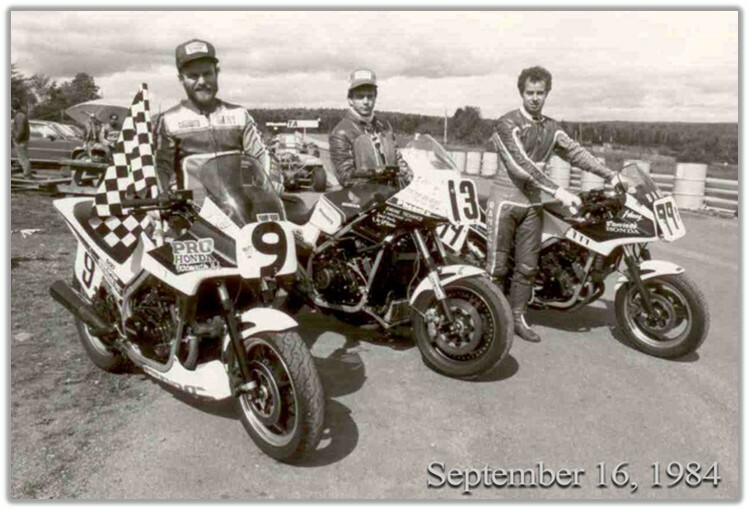 Road racing beckoned next, and in 1978 John set off on his Honda CB400F for the five-hour ride to Atlantic Motorsport Park in Shubenacadie, N.S. His first road race didn’t set any records but the results were encouraging. The next year brought marriage at the age of 20 to his wife Kathy Ann and racing was put on hold for a time. 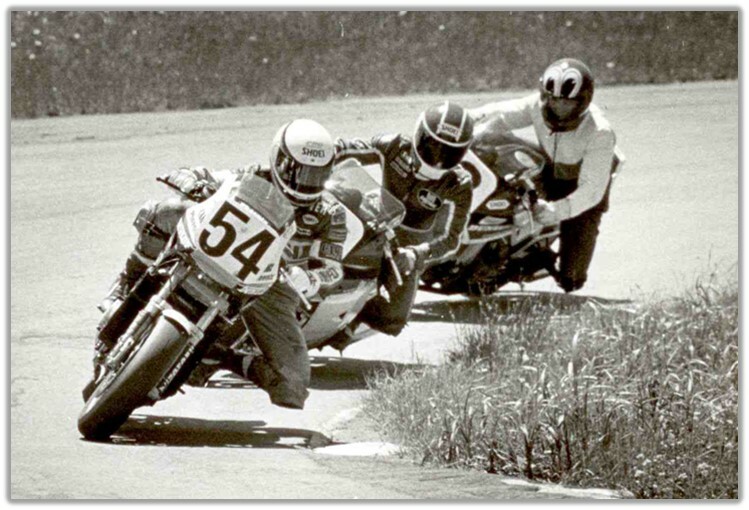 Then, on a trip to Daytona bike week in 1983, his older brother Robbie prodded hard enough for John to think about tackling racing more seriously. 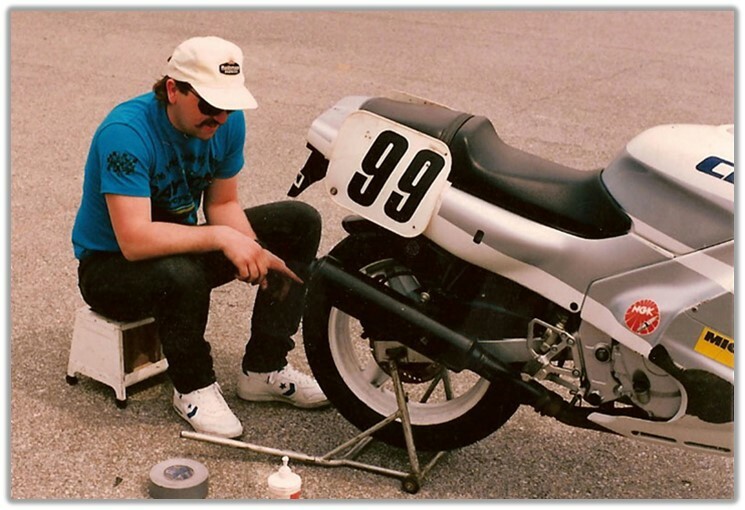 Riding Honda’s new CBX550 he took the CMA national championship for ’83 in the junior lightweight production class, his first of five national titles over the next six years. 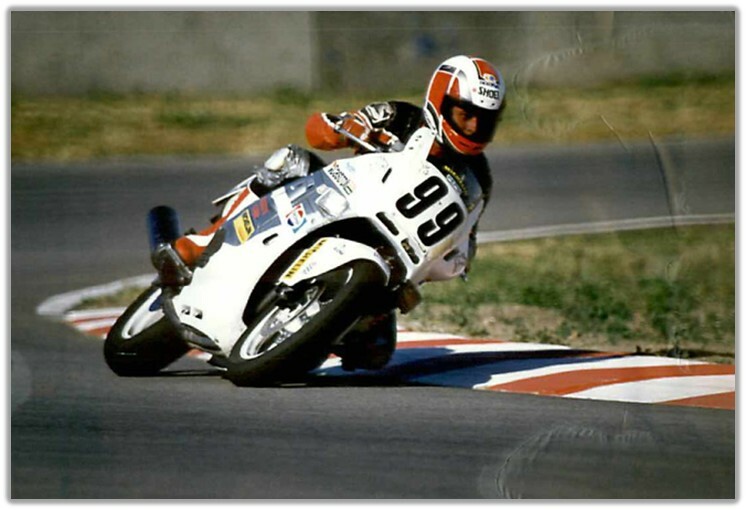 Robbie remained a staunch supporter, accompanying John to the races and winning tuner of the year award from RACE in 1989. 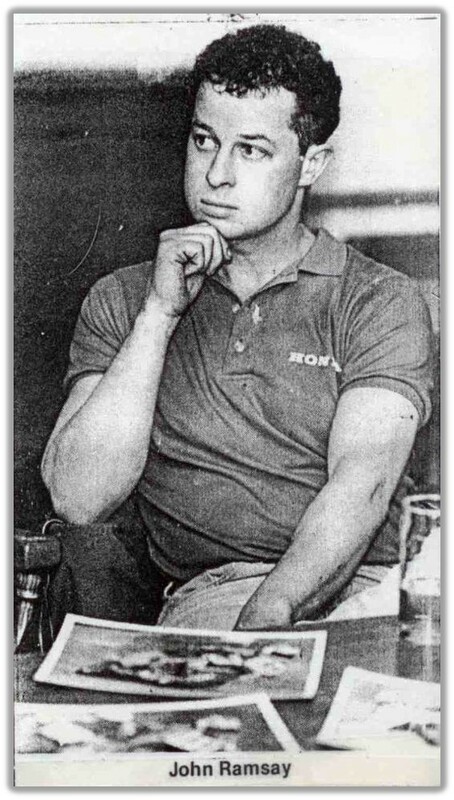 Dan McQueen was another travelling companion who wielded the wrenches to help John’s career. John’s older son Jeffery was born in 1983 and much of Jeffrey’s childhood was spent in the pit area of AMP. John went on to claim CMA national titles in heavyweight production expert in 1986, along with open production expert that same year, as well as heavyweight production expert in 1987 and ’88. Unlike some of his adversaries John escaped serious injury, though he did suffer a broken collarbone in a mass pile-up in Calgary in 1991. 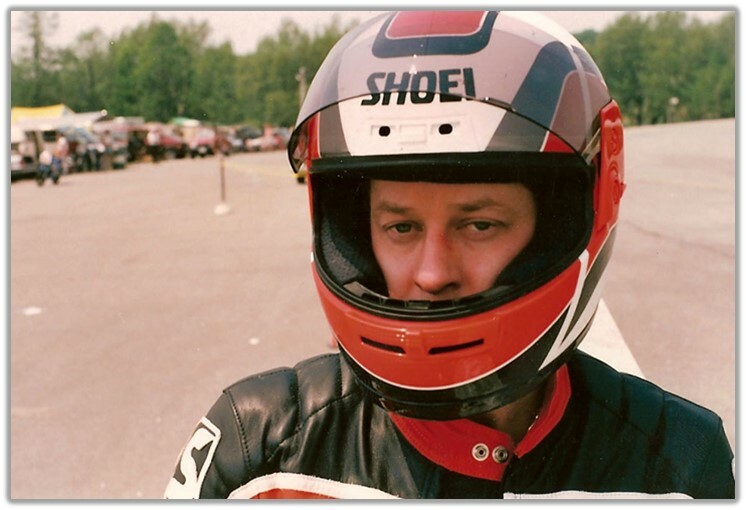 He scaled down his racing activities in 1992, but did experience his highlight of the season in the Canadian national race at Shubenacadie riding Rueben McMurter’s Honda RC30, when he finished second behind Steve Crevier. John retired from racing at the end of ’92 and admits he hasn’t done a lot of riding since. In 1995 Wilfred Ramsay passed away at age 65 and John and three of his siblings found themselves responsible for operating Ramsay’s Honda Auto Sales in Sydney. The Esso station had evolved into a Honda car dealership in 1988 and John started there as a service technician. He later became service manager and with Woody’s passing found himself part owner of a rapidly growing car dealership. “To this day, our Honda store continues along,” says John. “I’m quite sure our dad would be proud of just how things have unfolded.